pyBLoCXS is a sophisticated Markov chain Monte Carlo (MCMC) based algorithm designed to carry out Bayesian Low-Count X-ray Spectral (BLoCXS) analysis in the Sherpa environment. The code is a Python extension to Sherpa that explores parameter space at a suspected minimum using a predefined Sherpa model to high-energy X-ray spectral data. pyBLoCXS includes a flexible definition of priors and allows for variations in the calibration information. 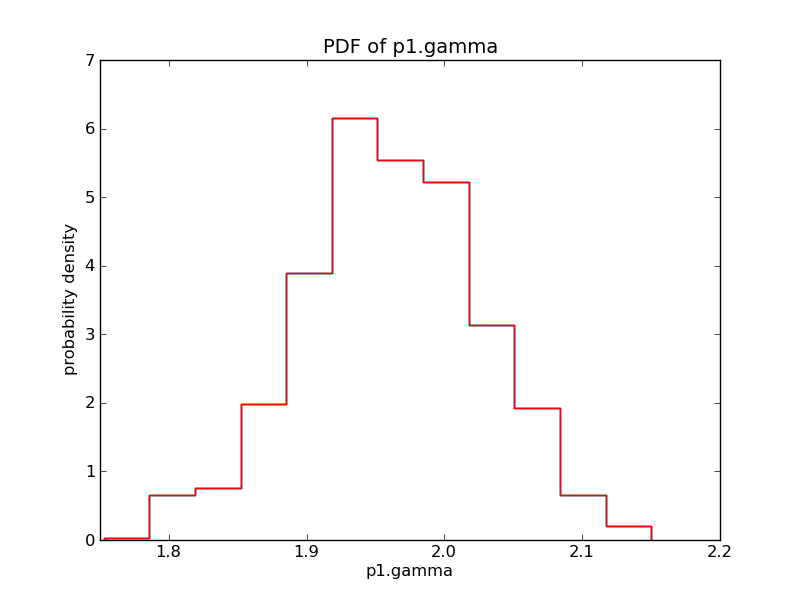 It can be used to compute posterior predictive p-values for the likelihood ratio test (see Protassov et al., 2002, ApJ, 571, 545). Future versions will allow for the incorporation of calibration uncertainty (Lee et al., 2011, ApJ, 731, 126). MCMC is a complex computational technique that requires some sophistication on the part of its users to ensure that it both converges and explores the posterior distribution properly. 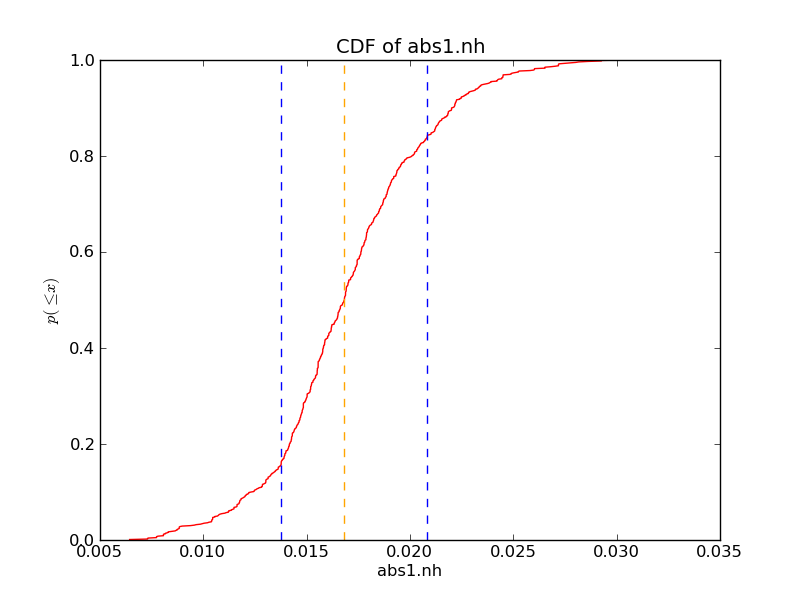 The pyBLoCXS code has been tested with a number of simple single-component spectral models. It should be used with great care in more complex settings. Readers interested in Bayesian low-count spectral analysis should consult van Dyk et al. (2001, ApJ, 548, 224). pyBLoCXS is based on the methods in van Dyk et al. 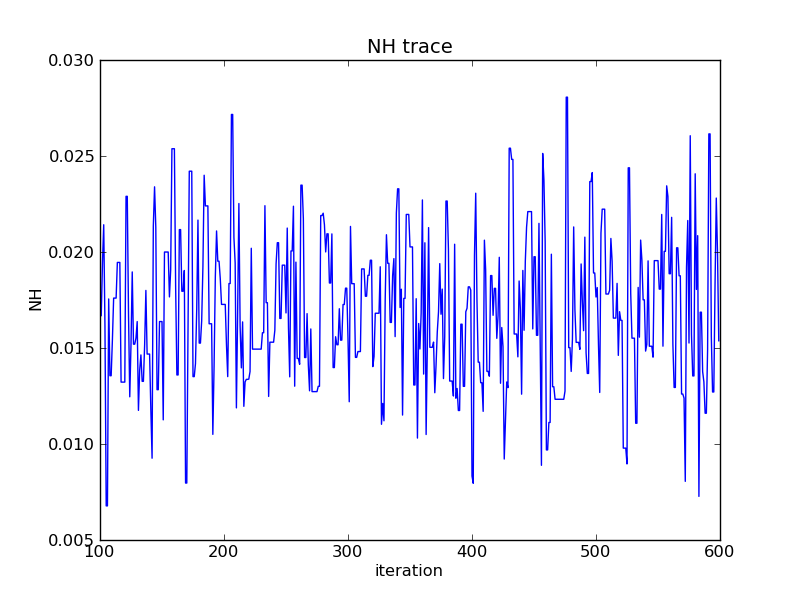 (2001) but employs a different MCMC sampler than is described in that article. In particular, pyBLoCXS has two sampling modules. The first uses a Metropolis-Hastings jumping rule that is a multivariate t-distribution with user specified degrees of freedom centered on the best spectral fit and with multivariate scale determined by the Sherpa function, covar(), applied to the best fit. The second module mixes this Metropolis Hastings jumping rule with a Metropolis jumping rule centered at the current draw, also sampling according to a t-distribution with user specified degrees of freedom and multivariate scale determined by a user specified scalar multiple of covar() applied to the best fit. A general description of the MCMC techniques we employ along with their convergence diagnostics can be found in Appendices A.2 - A 4 of van Dyk et al. (2001) and in more detail in Chapter 11 of Gelman, Carlin, Stern, and Rubin (Bayesian Data Analysis, 2nd Edition, 2004, Chapman & Hall/CRC). A 1D/2D modeling and fitting application written as a set of Python modules. The code is developed as Chandra contributed software. To run it within CIAO/Sherpa, cd to .../pyblocxs-0.0.3, start Sherpa, and type import pyblocxs. defaultprior – Boolean to indicate that all parameters have the default flat prior. inv – Boolean or array of booleans indicating which parameters are on the inverse scale. log – Boolean or array of booleans indicating which parameters are on the logarithm scale (natural log). originalscale – Array of booleans indicating which parameters are on the original scale. priorshape – Array of booleans indicating which parameters have associated user-defined prior functions. scale – A scalar multiple of the output of covar() used in the scale of the t-distribution. p_M – The proportion of jumps generated by the Metropolis jumping rule. # only use (100,600], meaning 101st to 600th. 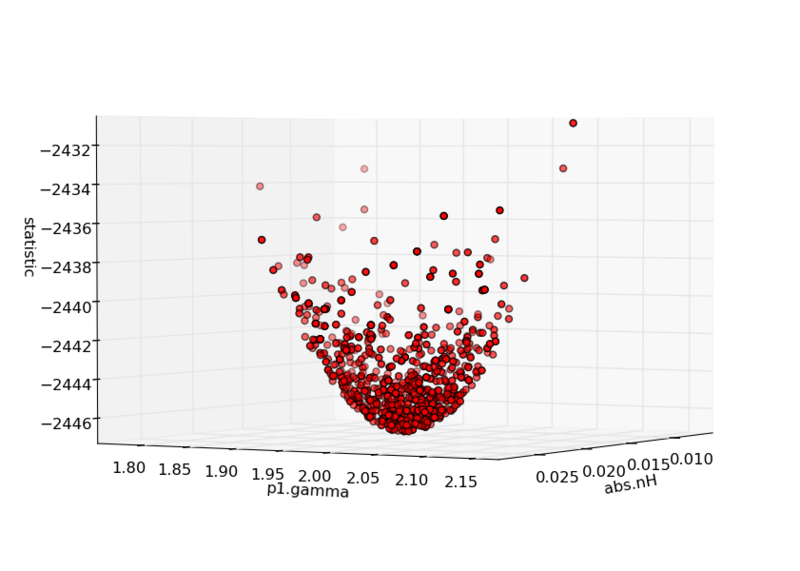 Because the jumping rules employed by pyBLoCXS are all based on symmetric bell-shaped t-distributions, the MCMC code will be far more efficient if the posterior distribution is roughly bell-shaped. When this is not the case under the canonical parameterization of the fitted model, it can still often be true under some transformation of the canonical parameterization. For example we may replace a strictly positive parameter that has a right skewed posterior distribution with the log of that same parameter. pyBLoCXS allows for uni-variate transformations of any or all of the model parameters onto the log and inverse scales. Should the proposal be accepted (using the Cash statistic and the t distribution)? Create a new set of parameter values using the t distribution. Given the best-guess (mu) and current (current) set of parameters, along with the covariance matrix (sigma), return a new set of parameters. Set a prior function prior for the the input Sherpa parameter par. The function signature for prior is of the form lambda x. © Copyright 2010, CHASC Astro-Statistics Collaboration. Created using Sphinx 1.0.2.